The relationship between hip-hop and comic books has always been an ever-present facet when talking about the driving forces behind hip-hop culture as a whole. It isn’t that this connection is a dominating topic like political consciousness in certain songs or the radical prowess of certain artists, but it’s prevalent everywhere in hip-hop. In fact, comic books are spread all throughout hip-hop that it can be considered a sub-culture stemming from the main branch. 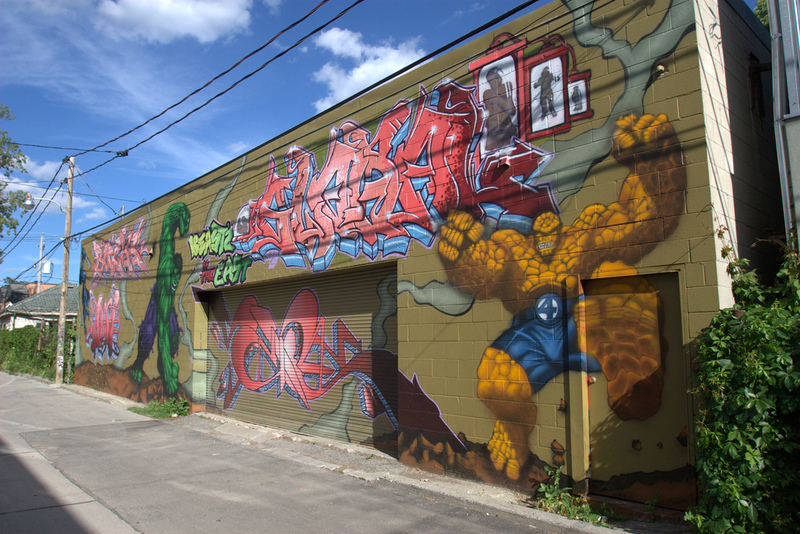 From Daniel Dumile’s MF DOOM moniker, which derives directly from the villain in Marvel’s Fantastic Four, to graffiti street artists covering walls with comic legends, hip-hop and comic books have formed a flirtatious relationship that continually binds two ever-growing cultures. Beyond all the music and in-song references, hip-hop and comics actually tread the same water dynamically in other realms. The first thing that comes to mind is that both were cultural rejects in the early days. Comic book culture didn’t see its Golden Age until the late 1930s, despite its existence since the late 1800s. And when urban movements that were considered “hip-hop” in the 1970s formulated, they were strictly underground, not seeing mainstream success until the late 80s. To add, these two cultures both started out in New York City2. Another connection that shouldn’t be discarded is that hip-hop and comic books both value the physical setting. Hip-hop as a movement and as a culture has always been rooted with location, hometowns and respects for the given city an artist has grown up in. No matter what city or country an MC or group is from, these artists take every opportunity to rep the area code they were brought up in. To an extent, it’s almost an unwritten rule, like giving credit where credit is due. Whether it’s Atmosphere’s “Say Shhh,” an ode to Minneapolis, or Redman’s Newark celebrating “Brick City Mashin,” artists from all over the hip-hop world keep the physical setting close to their heart. The world of comics revolves around the same motif. No matter what the story, the characters or the content, setting in comic books plays as big of a role as the story; Superman is to Metropolis as Batman is to Gotham as Spider-Man is to New York City as Thor is to Asgard and so on. What’s even more interesting—despite some exceptions—is that most hip-hop and comic book settings are based in an urban setting. Maybe one of the instrumental factors leading to the hip-hop comic book connection is this very fact. Since these two cultures are so relatable with each other, it’s no wonder that comic books are so prominent in hip-hop. It’s an odd relationship, but when citizens of Gotham point to the sky and say, “there goes Batman,” it’s to the same extent as the people of New York City pointing to their televisions and shouting, “there’s Run-D.M.C. getting inducted into the Rock and Roll Hall of Fame!” It’s a sense of pride the community has for these figures that really connects these two worlds. As much as a superhero or MC takes pride in their city, there is no doubt that the city takes just as much pride in that certain individual or group. 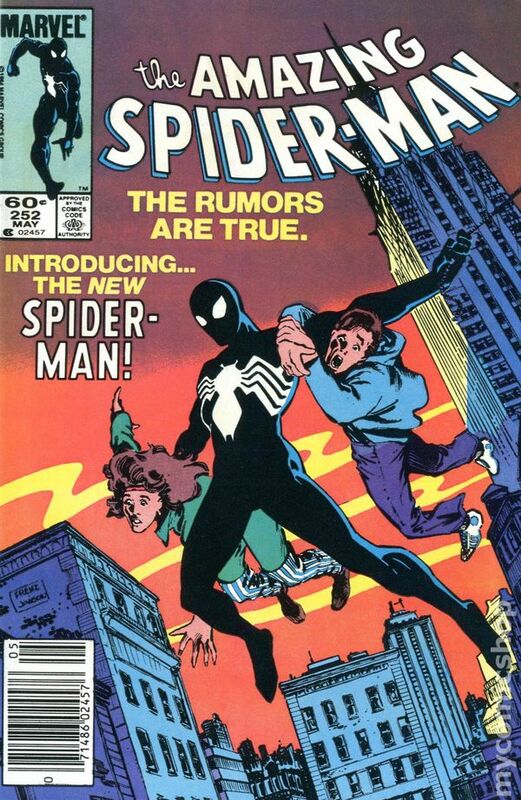 Aside from the connections, comic books have consistently been a part of the hip-hop world physically. From De La Soul to Madvillain, artists from all over the culture continually rep comic books on selected cuts and separate projects. One of the first examples of comic book culture making an appearance in hip-hop was with De La Soul’s 1991 epic De La Soul Is Dead. When the record was originally released, it was accompanied by De La Soul Is Dead #1, a comic that told the story of the trio and their music saving listeners from Vanilla Ice. More recently, Felt3 released a comic with their second studio album A Tribute to Lisa Bonet. Jim Mahfood, a well-known comic book creator4 and fan of hip-hop, illustrated the book. The comic itself is a visual interpretation of the album, and Mahfood takes the lyrics from the album and inserts them into the books dialogue. With all of this, hip-hop artists don’t just release comic books with records. Sentences: The Life of MF GRIMM, illustrated by Ronald Wimberly, is an interesting graphic novel that covers GRIMM’s life through ink and paneling. It’s a serious take on everything the MC went through, from being shot and becoming paralyzed, to his drug conviction and life sentence. Cell Block Z (2009) is a comic book that was written by Ghostface Killah5 that dives into the world of Cole Dennis, a boxer that is convicted of a crime he didn’t commit. From there, the story sees Cole try to figure out and solve the situation he is burdened with. Cell Block Z is actually the second Wu-related graphic novel; Method Man released a self-titled book in 2008. The relationship between hip-hop and comic books is a timeless venture between two cultures that are continually growing and evolving. As these two cultures continue to spread and spring branches into various vectors, its undeniable that the connection they share will never diminish. From the specific characteristic nature they both possess to the comic book references being made by hip-hop artists, the only foreseeable change is that more MCs and comic book creators will join forces. 2 Hip-hop itself is an enduring form of struggle that has been around for centuries, but the pillars and actual branches (spread of music, art and dance) only started to surface in the 1970s. 3 Felt is the duo and fusion of hip-hop legends Slug (Atmosphere) and MURS. 4 Mahfood has done work on Marvel’s Spectacular Spider-Man, Ultimate Marvel Team-Up and Kevin Smith’s Clerks comics. 5 Chris Walker, Shauna Garr and Marlon Chapman are also authors of Cell Block Z.